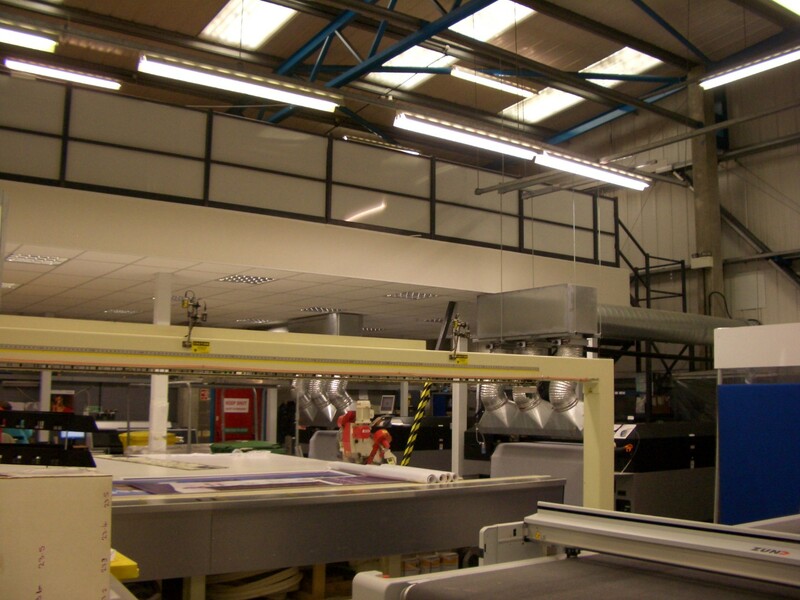 The Hampshire Flag Company, who are Hampshire’s leading flag retailer needed additional space for storage and contacted Hampshire Mezzanine Floors to come up with a proposal to maximise the space within their factory in Waterlooville. 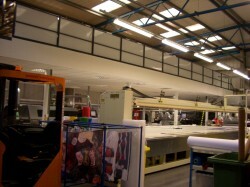 HMF initially installed a mezzanine floor above their existing production office and part of their production area with 1 hour fire protection to the mezzanine. The mezzanine floor had two staircases, one being a service access stairs for GDA compliance and the other a utility escape stairs. The installation was carried out as a fast track project to minimise disruption to the customer and to maximise safety, the steelwork was installed out of hours. Hampshire Mezzanine Floors fitted all the lighting and carried out all the racking modifications to enable the mezzanine floor to be installed. The project was completed on programme. Hampshire Mezzanine Floors are one of the UK`s leading fit out main contractors and carry out the complete fit out of your premises. This work often involves mezzanine floors, partitioning, racking and shelving, building works, mechanical and electrical installations. HMF has been in the mezzanine floor supplier business for over 26 years and includes national accounts amongst our regular customers. 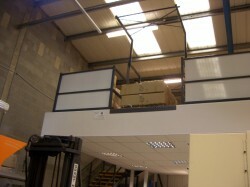 Contact Hampshire Mezzanine Floors to find out how we can help you with your storage requirements.